1. Vinyl weaved tablecloth with lively patterns and colors complement the tables. 2. Protect the table. The tablecloth help to protect the table from too much use, against unexpected scratches and stains. 3. High-quality tablecloth. Continued to look great on your table. 4. Provide a good environment for you. Enjoy your dining experience. 5. Stain resistant and water resistant. Perfect choice for your outdoor gathering and indoors. 6. Dries quickly. Air dry is best for this tablecloth. Since it is made of vinyl, spilled liquid dries quickly. 7. Multipurpose mat. This table protector is widely used in all kinds of furniture tops, such as kitchen and wooden dining room table, glass, marble, coffee and end table, TV bench, dressing table, night stand, kitchen countertop, cooktop, writing desktops etc. 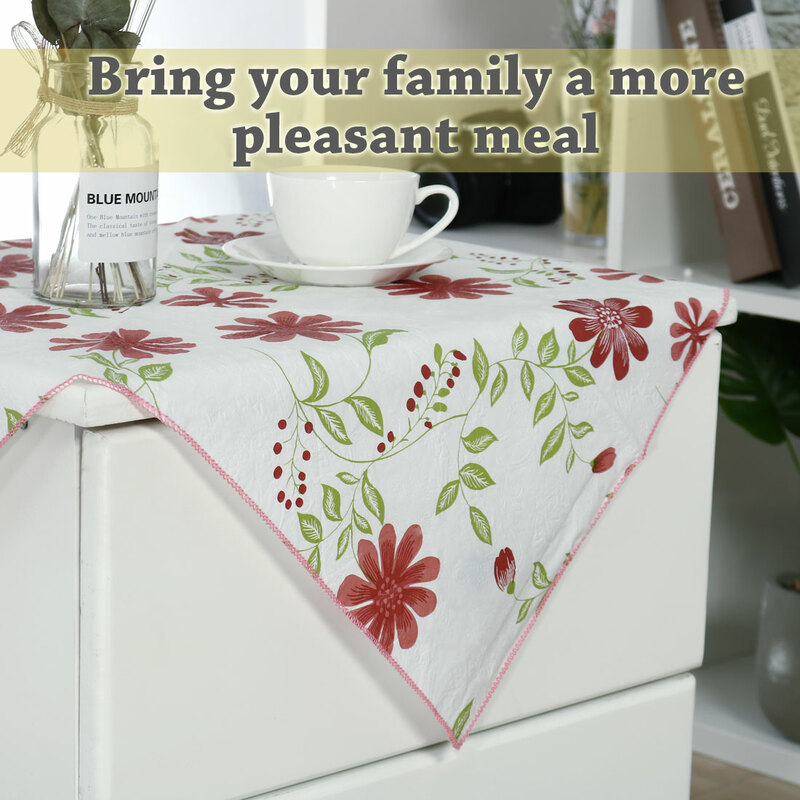 To keep your tabletop, furniture, tablecloths or table runner as original beauty. 8. The tablecloth is durable, can be used as desk pads or protective mats to protect your table, desk against scratches, scuffs, stains, spillage. 1. Measure the size of your table before buying this item. 2. Variability of 2-3cm is possible due to the measurement process.